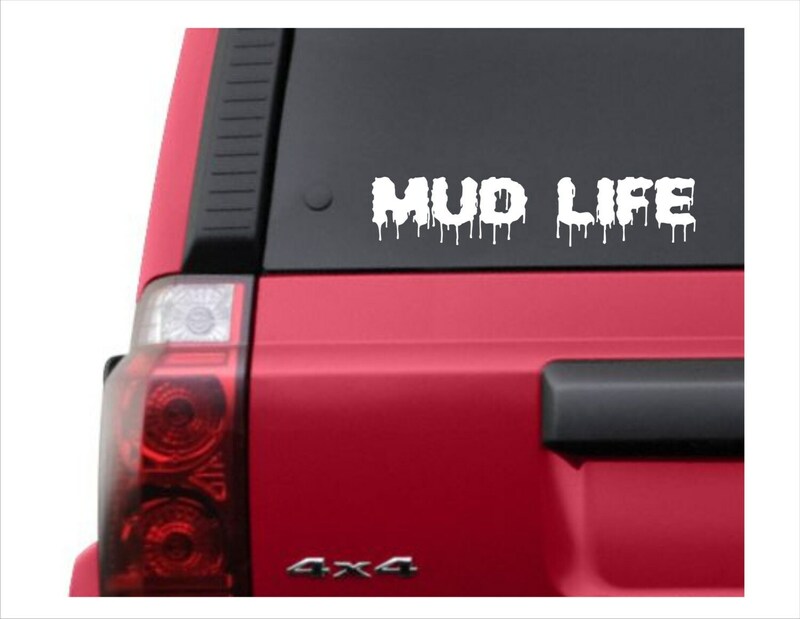 Mud Life vinyl decal- 4-wheeler, off-road, mud runs, etc. This says it all. Easy to apply and will come with application instructions. These decals with adhere to any clean, smooth surface. Great for your truck, car, atv, etc. We only use high-quality outdoor vinyl. Water and weather resistant. ******ALL of our customers get a FREE surprise gift. ORDER NOW! !